Set in 2039 at the end of the sixth great extinction, The Lamellar Project is an exciting trans-media theatre production made in partnership with UK Based Pursued By A Bear Productions and Calyx Films. The story follows Carys, an American based scientist who uncovers a global conspiracy linked to the disappearance of butterflies. A conspiracy that threatens to throw the world into chaos. With Arts Council of Great Britain funding, a scratch performance of The Lamellar Project was presented in April 2015 at South Hill Park in Bracknell to industry professionals, and live streamed onto the internet. 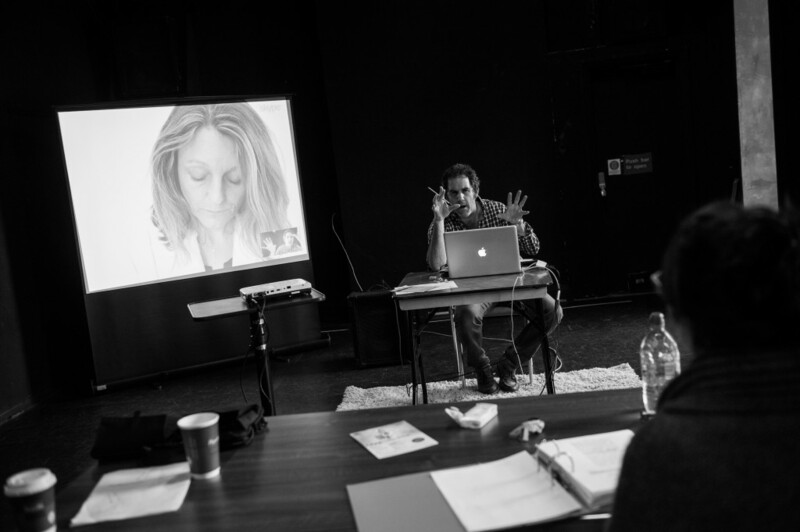 The work joined live, Skyped and filmed performances with one actor in each country. A digital portfolio of the project will be available for viewing soon. The next evolution of this ground-breaking project includes a UK tour and a London run in 2016. Further information will be available soon.